Share the post "Advanced Laser and Light Technology"
With so many skincare products and topical treatments available to treat skin disorders, it can feel like there isn’t a solution that’s working. Now, more than ever, advanced technology is playing a huge role in how we protect our skin with light therapies, lasers and injected solutions. At Advanced Skincare Surgery and MedCenter with locations in Burbank and Fullerton, CA, finding solutions is all a part of what they do. The team at Advanced utilizes innovative laser technology along with the highest quality topical treatments to improve the overall look of their patients skin. Photo Dynamic Therapy (PDT) is one of the treatments used at the MedCenter to effectively target acne-causing bacteria. This painless, easy and safe treatment can be used in combination with lasers and light technology to clear most moderate inflammatory acne. In as little as eight sessions, this non-invasive alternative can provide a lifetime of confidence. Overtime, sun exposure can lead to harmful effects that leave skin looking damaged. Although sunscreen can help prevent sun damage and keep skin looking healthy and fresh, some effects can be irreversible. Advanced Skincare Surgery and MedCenter offer cosmetic and laser treatments that address skin needs to enhance overall complexion. 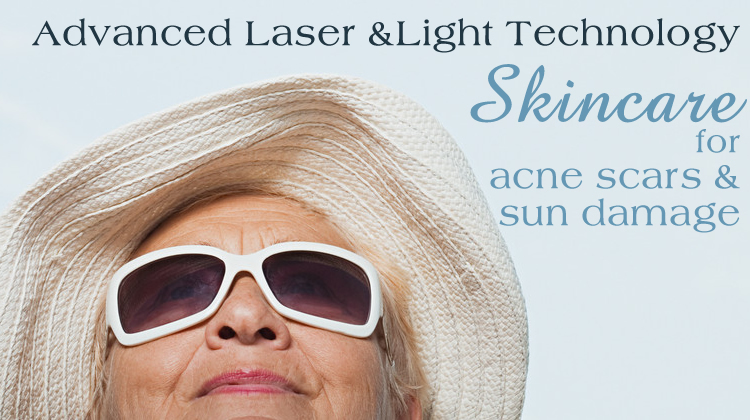 The Erbium laser is designed to eliminate sun damage spots, lines and wrinkles on the face, hands, neck and chest. More serious skin conditions, such as psoriasis, eczema and chronic itching can also be treated through laser therapy. The Excimer laser safely and effectively treats these skin diseases by precisely targeting high doses of ultraviolet light directly on the inflamed area of the skin. This innovative laser is also effective in repairing scarring on the face and body. White scars can be significantly reduced and fine layers of surface material can be removed through Excimer laser therapy. Treatment time is as little as five minutes with six to 10 treatment sessions for mild to moderate conditions. Not all laser treatments focus on skin diseases, but instead concentrate on the skin conditions that were caused due to poor decision making such as the RevLite laser for tattoo removal. This laser is used to gently erase and diminish the appearance of tattoos with low risk of scarring. Like other lasers, the RevLite uses an intense beam of light to progressively fade ink with multiple treatment sessions based on the size and color of the tattoo. Removing professional, amateur or traumatic unwanted tattoos has never been more accessible. Advanced Skincare Surgery and MedCenter offers a wide range of laser therapy treatments for skin diseases and disorders. The MedCenter is recognized as one of the most comprehensive skin care treatment centers offering clinical dermatology, cosmetic dermatology, plastic surgery and histopathology laboratory services.